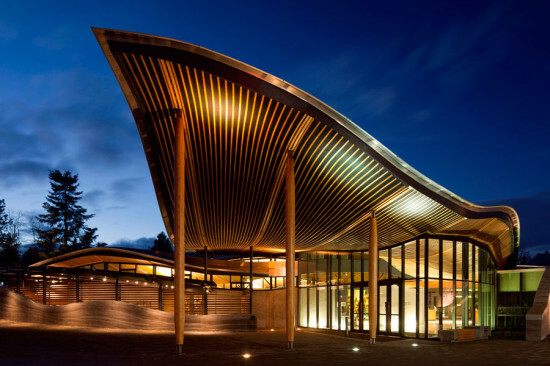 Bohlin Cywinski Jackson’s Frick Environmental Center (FEC) in Pittsburgh will be publicly unveiled September 10th. The FEC is the first municipally owned, free and public Living Building Challenge targeted facility. The project is also built to LEED Platinum standards. The FEC will act as an environmental education center for an estimated 20,000 students from Pittsburgh public schools, along with thousands of other visitors. 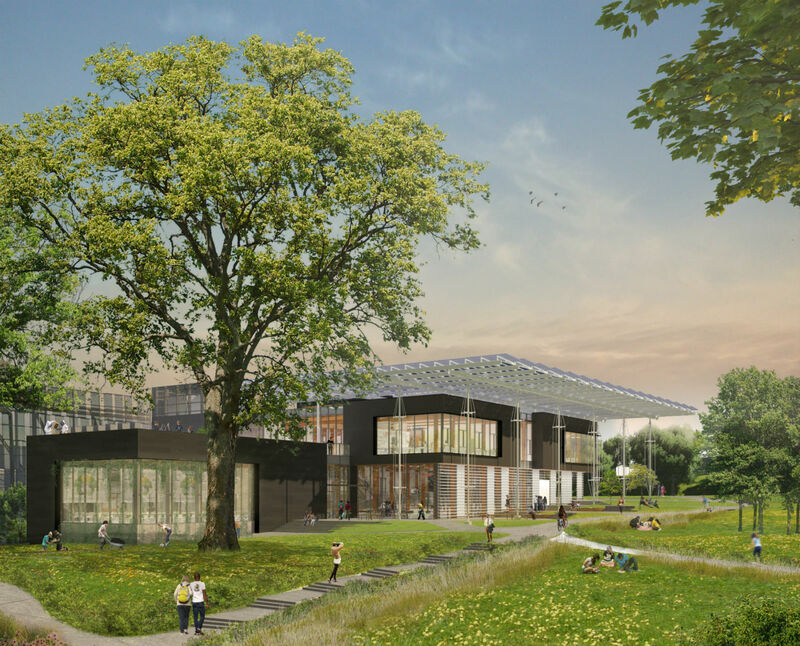 Located in the 644-acre Frick Park, the project will provide support spaces, fully equipped classrooms, and offices for the Pittsburgh Parks Conservancy. The FEC will be free and open to the public, and available for event rental by spring 2017. A public “living room” and gallery will welcome visitors to learn about the park’s history, its extensive trails, the building itself. Bohlin Cywinski Jackson collaborated with the City of Pittsburgh and the Pittsburgh Parks Conservancy on the project. The team also worked with more than 1,000 community stakeholders on the design. Along with the new building, other portions of the park will be restored, including historic gatehouses, an alleé, and fountain. To achieve the Living Building Challenge and LEED Platinum standards, the project uses 35% less energy than baseline structures. With a goal of net zero energy and water, the building will also ground-source heat pumps, radiant floors, a photovoltaic array, and a reclaimed water system. All building materials were sourced within 1,200 miles of the site and subcontractors and tradespeople were hired from the region. Bohlin Cywinski Jackson has also had a local office in Pittsburgh for the past 40-years. “The September 10 celebration will give a sampling of the beautiful building and grounds, environmental education programming, and community spirit that the Center will have to offer our city for generations to come,” explained Pittsburgh Parks Conservancy founder and CEO Meg Cheever. An active, “living” exterior skin acts as a shading device and learning tool by changing shape based on the outside temperature. This strategy draws on the principle of bimetallic strips. 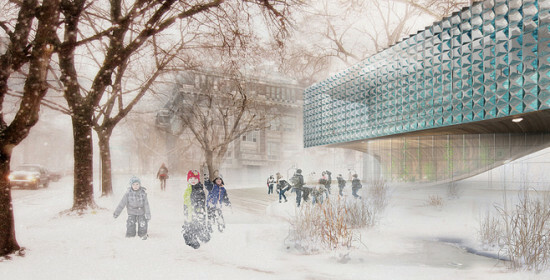 When the exterior temperature rises, the panels of aluminum and oxidized copper close, thus acting as a shading device. Once the temperature cools, the panels open, which increases the quantity of light coming into the building. Recently the Midwest Offices of the Natural Resources Defense Council (NRDC) became the first project in Chicago to attain Living Building Challenge Petal Certification. 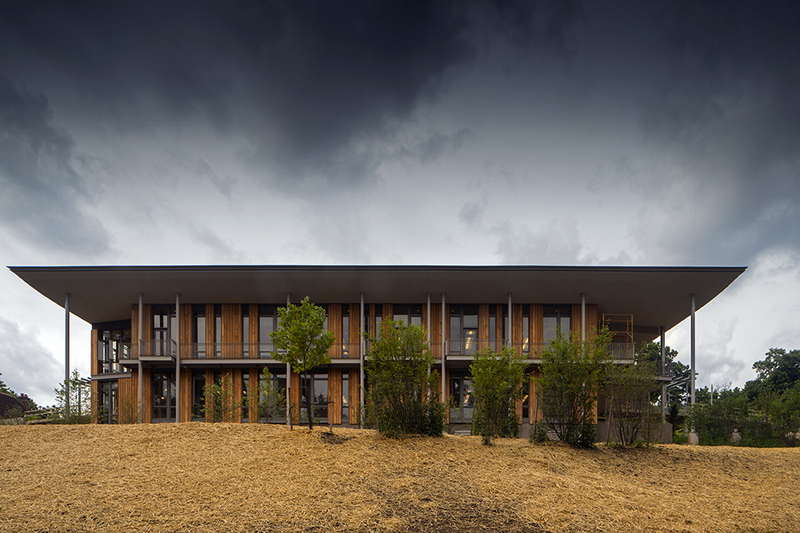 See all 14 entries on Living Building Challenge Collaborative: Chicago's website.